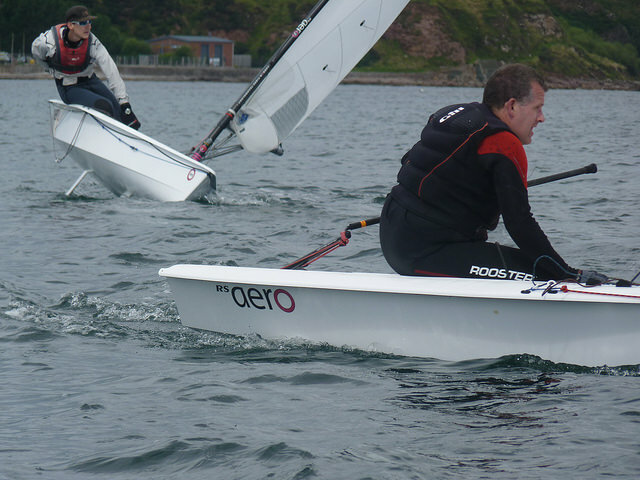 Great weekend way up north at Stonehaven - challenging shifty conditions and some close racing among the seven RS Aero 7s - there were four different race winners across the 6-race series! 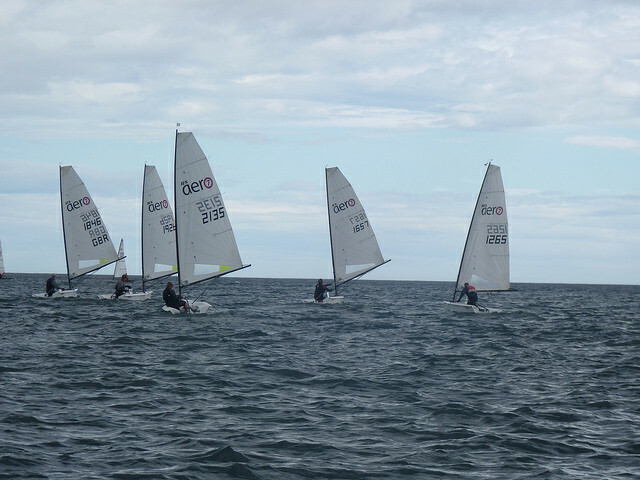 33 boats competed at the annual Aberdeen & Stonehaven YC regatta in Stonehaven Bay this weekend. Saturday had four seasons in a day with wind varying from F0 to a solid F5 and an occasional Scottish shower to boot. The safety crew and committee boat were kept busy, constantly changing the course to adjust to varying wind strengths and directions, plus watching many a capsized boat. Nonetheless, four races were sailed, before heading in to partake in the legendary BBQ laid on by the excellent ASYC catering team. A valiant attempt was made to drink the bar dry too. Sunday saw more benign conditions with glorious sunshine and steady winds. Two races completed the set and everyone headed in for more food and the prize giving. 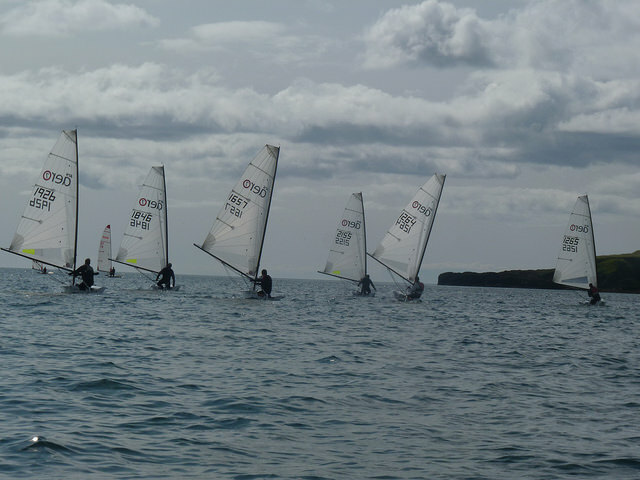 Seven RS Aero 7's made an appearance, with many thanks to JPWatersports who had offered a fantastic charter deal. Jacqui Taylor from Largs had to retire due to injury during the second race while all others took it in turns to come last. The only one not recording a wooden spoon was Robbie Lawson, who nonetheless got beaten into silver position by Iain McGonigal after he managed to discard his wooden spoon. 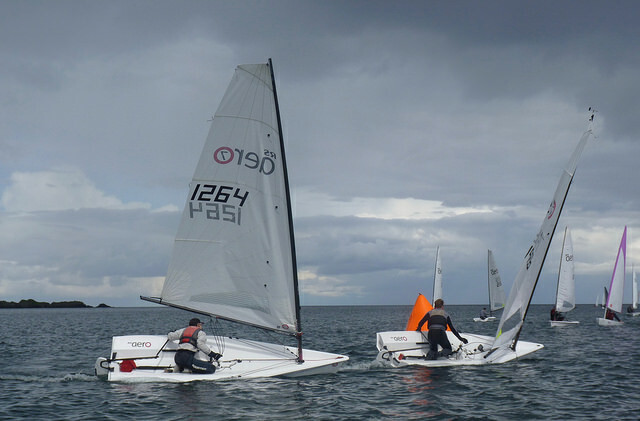 Third place was won by Angus Boyd, making it an East Lothian YC championship all round, Fourth was Chris Perry from ASYC and Fifth John Olson, last year's Scottish champion, who won the final bullet on Sunday. Sixth was Steve Fraser who also did well to cope with the very mixed bag of weather conditions that Stonehaven Bay managed to throw at him. As the photos show - the RS Aero racing was extremely tight. Bring on more!